For Indian sport, the decade began with agony and ended in ecstasy. In early 2000, when the match-fixing scam broke, the country’s cricket establishment was in tatters. To believe then that towards the end of 2009 India would be the top-ranked Test-playing nation would have been construed as a sign of lunacy. In the last 10 years, India has consolidated its hold over cricket to an extraordinary degree—and not necessarily on the playing field. Inherent obsession with the game and rapid economic growth has shifted the power base of the sport to India, which is now the El Dorado for players, coaches and aficionados, as manifested by the Indian Premier League (IPL). Listen to the weekly Lounge podcast where we bring you a special behind- the- scenes edition of the Lounge decade-ender issue that hits the stands on 26 December, 2009. This decade has also seen other disciplines jostle hard for attention. 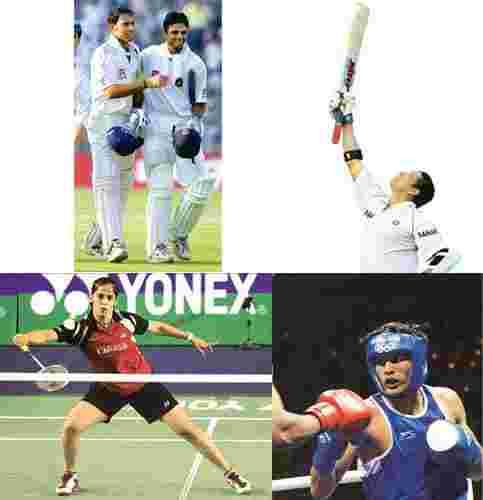 Leander Paes and Mahesh Bhupathi have won multiple Grand Slam doubles titles with and without each other; in cue sports, India remains ahead of the curve; in badminton, there is a clutch of young players led by Saina Nehwal who look good to challenge the Chinese; in chess, Viswanathan Anand still rules; in wrestling and boxing, Indians are coming into their own. Abhinav Bindra won India its first individual Olympic gold medal and almost overnight, the acute pessimism that imbues Indian sport looked to be dissipated. A solitary gold is not a revolution, but perhaps a change was set in motion. While tapping the cellphone of a bookie, the Delhi police stumbled on a match-fixing scam that was to devastate the sport. Early denials by South African captain Hansie Cronje, who had the phone, soon changed into a remorseful confession in front of the King’s Commission in which he implicated former India captain Mohammad Azharuddin. Soon, Pakistan’s captain Salim Malik was dragged into the controversy, apart from several lesser lights. In the years since, Cronje died in a plane crash, Malik has just had the ban on him lifted and Azhar has been elected as a member of Parliament. V.V.S. Laxman and Rahul Dravid scripted arguably the greatest turnaround in cricket history with a partnership of 376. Following on 274 runs behind Australia, India had lost four second innings wickets for 232 runs when these two came together in an astonishing batting revival. India eventually won by 171 runs. Laxman’s 281, since exceeded by Virender Sehwag’s two triple centuries, is still rated as the best innings by an Indian. Badminton in India was on the decline when Pullela Gopichand beat Chinese Chen Hong 15-12, 15-6 to win the All England Open Badminton Championships. For 21 years since Prakash Padukone had won this first, India’s shuttlers had struggled in the global arena. Gopichand showed himself to be not just a champion but also a man of robust principles when he spurned a lucrative offer to endorse a soft drink. A dodgy knee ended his career prematurely, but his contribution to Indian sport has not dwindled: Rising star Nehwal is his protégé. Greg Chappell’s email to the Board of Control for Cricket in India complaining about the then captain Sourav Ganguly was unprecedented not just for its content, but also its length (2,606 words). Tension between the coach and captain, festering for a while, erupted into a major controversy on the tour of Zimbabwe when Ganguly alleged publicly that Chappell had asked him to step down. Chappell responded with his infamous email. A temporary truce was worked out on tour, but the die had been cast. By the end of the year, Ganguly had lost his job and less than two years later, Chappell his. 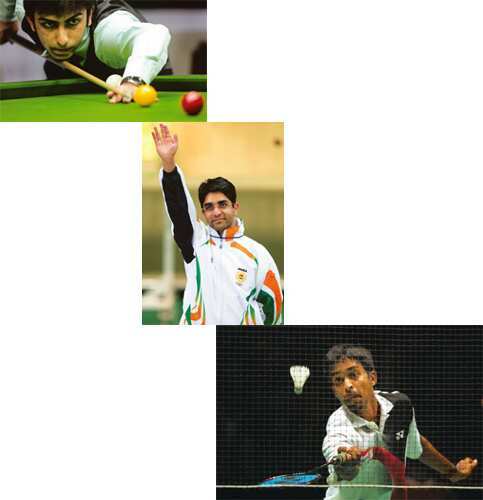 Champions: (from top) Pankaj Advani (Dibyangshu Sarkar / AFP), Abhinav Bindra (Valery Hache / AFP) at the Beijing Olympics; and Pullela Gopichand (Adrian Dennis / AFP). Forty years old this December, Anand is still the “Lightning Kid" on the chessboard and India’s most enduring sports champion. Having won almost every title along the way since he first started attracting attention 26 years ago, the high point of Anand’s career came in Mexico in September 2007 when he won the title after the reunification of the rival chess bodies. He had first won the FIDE (World Chess Federation) title in 2000, but that time the chess world was divided. Crisis was looming large over Indian cricket when M.S. Dhoni took his young team to South Africa for the inaugural Twenty20 (T20) world championship without Sachin Tendulkar, Dravid, Ganguly, Laxman and Anil Kumble. Less than six months earlier, India had failed to get past the first round in the World Cup. Nobody here took T20 seriously, nobody gave Dhoni’s side a chance to win. Yuvraj Singh’s blinding innings against England, which included six sixes in an over, was one of many splendid performances by a bunch of ambitious youngsters playing under an inspiring captain who won the title. The future of Indian cricket—indeed cricket—was to change forever, as the IPL which arrived the following year was to show. 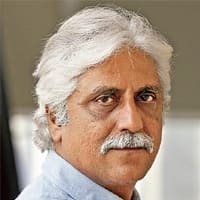 Drawing inspiration from American pro sports leagues, the IPL was stitched together hastily by Lalit Modi to stymie the rival Indian Cricket League. Modi married showbiz and big business to cricket. Team franchises were created for millions of dollars, players were auctioned for mega bucks and the razzmatazz that followed was inevitable. By the second tournament, the IPL had become the sixth most valued property in international sport. The medal at the Olympics broke a jinx that had lasted more than a century. Before the young shooter from Chandigarh hit the bullseye in the 10m air rifle event, India’s gold medals had come only in hockey—and none since 1980 in Moscow. Bindra’s achievement triggered countrywide jubilation and also inspired a couple of other young athletes to excel. Boxer Vijender Singh and wrestler Sushil Kumar both won bronze medals. The breakthrough had been made, now for the consolidation. India boasts of perhaps the richest legacy in cue sports in the world (Wilson Jones, Michael Ferreira, Geet Sethi, Om Agarwal, Yasin Merchant, to name a few). So it is no surprise that one more world champion should sprout among us. But even so, Pankaj Advani’s achievements are staggering enough to suggest that he might be the best ever. In September, he won the World Professional Billiards Championship in Leeds to cap a wonderful run of successes beginning with the Karnataka State Junior snooker championship in 1997, when he was only 12. Not since P.T. Usha singed the tracks in the 1980s have sportswomen captured the imagination of the nation as have Sania Mirza and Nehwal, the girls from the city of the Charminar. Mirza took the country by storm in 2005 when she reached the third round of the Australian Open and the fourth round in the US Open. Her aggressive strokeplay and glamorous persona made her a pin-up girl and a superstar overnight. In stark contrast to the tennis player, Nehwal became national champion in 2007 when only 17 and has taken rapid strides since then. At the 2008 Olympics, she reached the quarter-finals, and in 2009, she became the first Indian woman to win a Super Series event in Indonesia. Currently ranked No. 6 in the world, aficionados believe Nehwal’s best lies in the future. Towards the close of the decade, India became the No. 1 ranked Test cricket nation in the world. This top ranking was the culmination of two years of deep strategizing and hard work under two fine captains, Kumble and Dhoni. Beginning with the drawn rubber against South Africa in 2008, India had beaten Australia, England, New Zealand (away) and Sri Lanka in successive series. Ayaz Memon has been there, seen that and lived to tell some good sports stories.